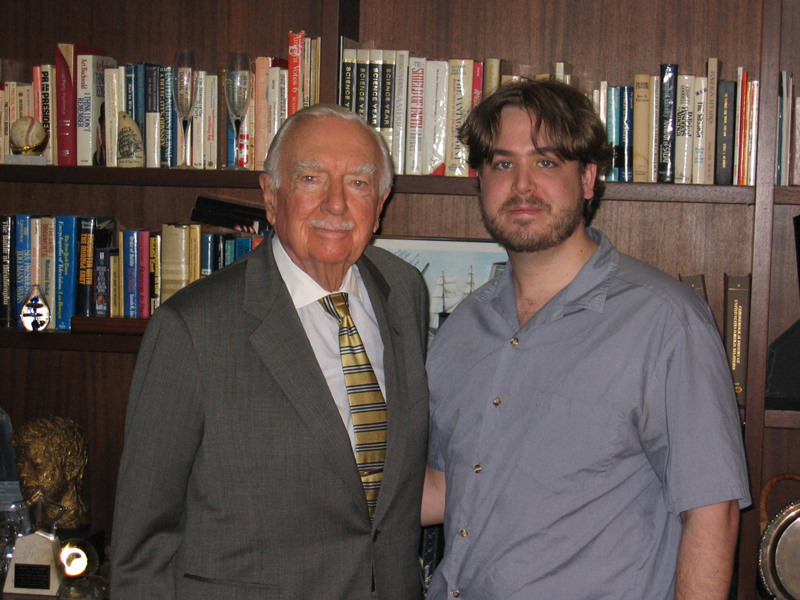 This is one to tell the kids (or parents) about-- the time I pinned a mic on Walter Cronkite. It was truly a pleasure to have his famous voice in my headphones. When I asked if I could take a picture with him, he said "I would be honored." My sentiments exactly, but I think he says that to everybody!